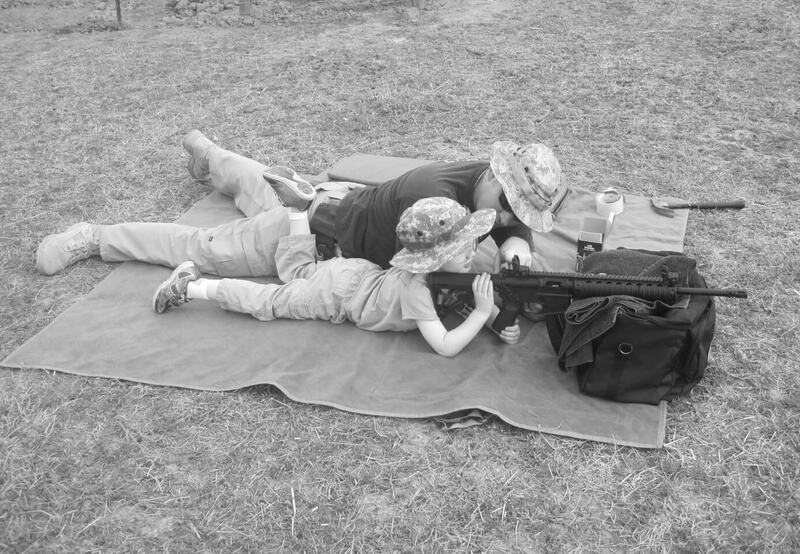 I personally teach my two boys about the firearms we have in the home and how they operate. I also teach them about safety and to never touch the firearms, unless Mom and Dad are present. There are several NRA videos (cartoon friendly) that are geared towards children on firearms safety as well. It is unavoidable having worked in Law Enforcement, training and teaching others about firearms and writing for a gun blog, for my children not to see firearms and want to know about them. Children will be more curious about something if you hide it from them. Ignorance is not safety, even if you secure the firearms in your home, this does not protect your children from their friends home. Several years ago I started to purchase Gun Vaults and other safes to secure my firearms as the boys were getting older. I also let my children touch, manipulate and use the firearms I own under my supervision. This will curb their curiosity at getting into mischief, if they find a firearm at my home or someone else’s. I found my oldest boy just wants to be involved with what Dad is doing. A big plus for me is, he love’s to clean my AR after a long day of shooting. Teaching your children responsible safety around firearms is your duty as a responsible gun owner. I also purchased a .22lr rifle just for my boys to start shooting. (http://looserounds.com/2013/06/17/smith-wesson-mp15-22-moe/) I found they were very curious about “Daddies big guns”, I used while writing for Loose Rounds. Involving your children in shooting and firearms safety at a young age will teach them responsibility and safety with firearms. The last thing you want, is to have your child find an unsecured firearm and harm themselves or another. I have instructed and taken several firearms courses that constantly use the phrase, “Worst Case Scenario”, involving a firearm. The worst case scenario for me, is my child or another child being hurt with a firearm because I failed to secure or properly educate my little ones. 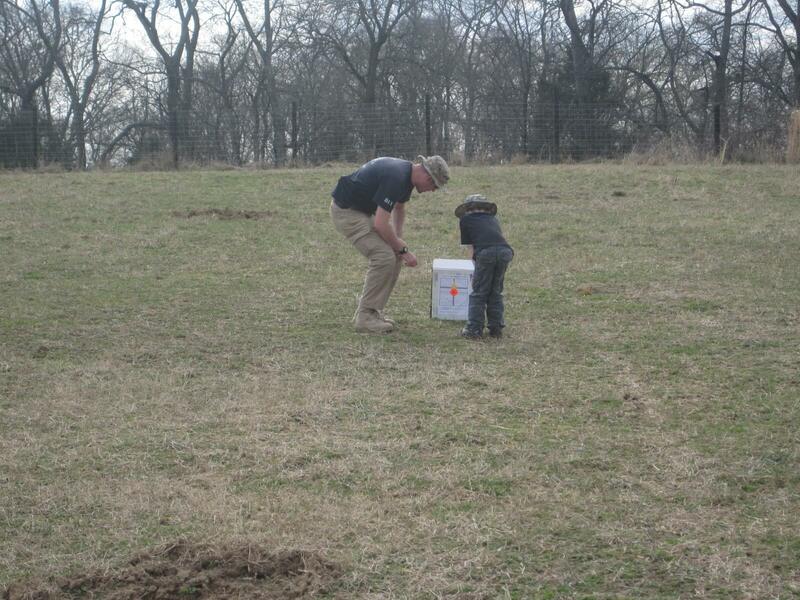 Take the time to teach your children and involve them in the firearms you have and enjoy. This will keep your children safe at home as well as someone else’s home, who might not secure their firearms as responsibly as you. Recent incident also bring to mind the right types of firearms to have your children start to learn on. Safety is the most important thing at all times. Start your children on firearms they can handle, like .22 caliber rifles and pistols, then gradually move them up. Throwing a large, heavy caliber, heavy recoil firearm into your child’s hands can have devastating results. Start them off by only loading one round at a time. Once they demonstrate they can consistently and safely handle a particular firearms recoil, then start letting them fire multiple rounds. This past year, there have been several high profile police shootings involving children with airsoft guns or realistic looking toy firearms. While I will not scrutinize these shooting as I was not there, I do understand what the officers may have thought or felt in these incidents. Airsoft and other realistic looking toy guns should be treated as real firearms, especially if persons without knowledge of the toy guns being used, come in contact with you or your kids. I have been involved with other officers in incidents that turned out to be someone with an airsoft or fake gun. Modern firearms can be painted or coated in all sorts of colors. Therefore, law enforcement usually treats all potential firearms as a real threat. One incident sticks out where a partner of mine almost fired on a 13 year old boy who had a fake gun. The call came out that a male was chasing another male, in a parking lot, with a handgun, around 10pm. It was very dark at this time. When we made contact with the child in question, the child was turning on us while we were yelling for him to drop the gun. I actually remember saying to mayself, This guy has an HK USP, when I hit him with my light. In the child’s mind it was not a real gun. The boy then turn and pointed it at my partner and we were all less than 15 feet from each other. We both had our duty firearms drawn, and I thought this was it. By the grace of God the boy dropped the gun and we both heard the pistol hit the ground. We then discovered it was an airsoft pistol with the orange tip taken off. This incident shook my partner to the point of tears and I had to be restrained from the ignorance of the parents, who clearly did not understand. Teaching your children the dangers and respect of all firearms, even those that look real can avoid these needless tragedies from happening. In my family, going back generations, on both sides of the family. We were ALL taught as children, to shoot, and respect, firearms. Starting a 4 years Old, going out with Dad, and having him explain, in terms we could understand, what a firearm was, how it should be handled and actually pulling the Trigger on a 22LR, while Dad held the gun, and aiming at a Popcan. At 8 years old we (Boys and Girls) were able to shoot, with Mom and Dad, on Camping Trips to the Woods, using a cutdown .22 SingleShot Rifle. On the 12th Birthday, all the children, were giving the latest Gun Catalog, and could choose their very own .22LR Rifle, and at 16 they were allowed to go with Dad, Hunting, and use his Old 30-30 Winchester SaddleRing Carbine, after completing the State Hunter Safety Program. At 21 each Adult was again given the Gun Catalog, and could choose a Handgun of their choice. Never had to lockup any weapons in Generations of this family. Never had any issue with accidental discharge. Only keep Firearms out of reach of small children, by having the family shotgun, on Pegs above the Front Door, and the 30-30 Carbine on Pegs above the Front Window. The Pistol was always kept in its Holster, hanging High on the wall, in a Peg on Dad’s Study. The same is true in my Household, in my children’s Households, and I suspect in their children’s Household when they get that far. 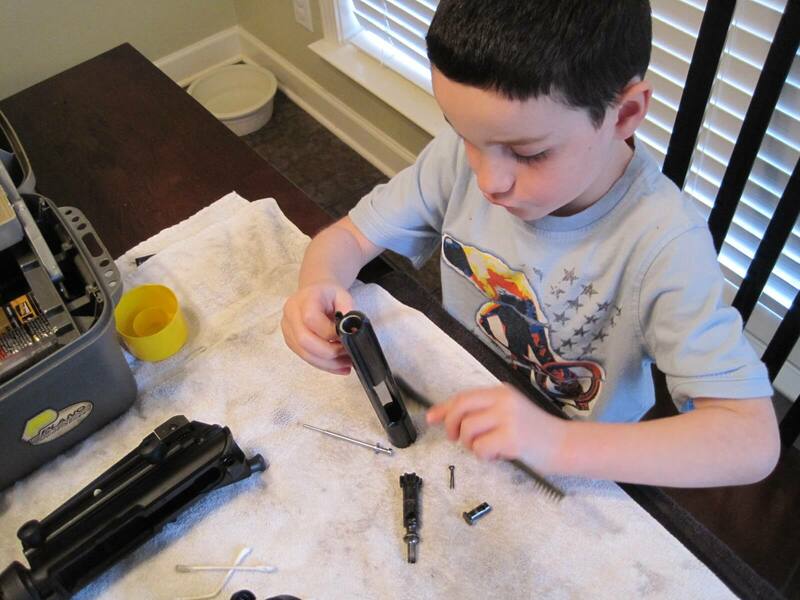 Gun Safety is a Family Tradition, Knowledge is Power, and “Train up a child, in the way he should go, and when he is old, he will NOT depart from it” Just Say’en….. YMMV…. amm going to let know her.